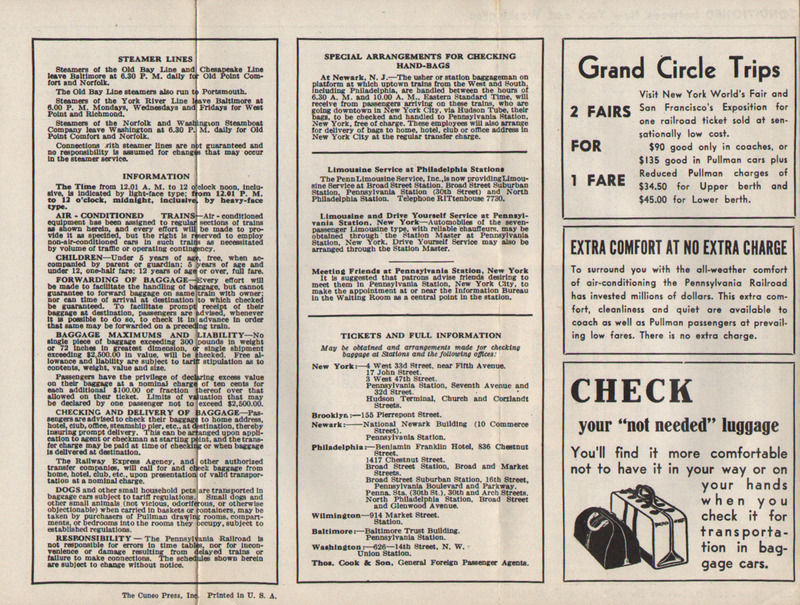 Description Pennsylvania Railroad (PRR) Form 79 1939 Time Tables (Timetable) Effective September 25, 1938 New York, Newark, Philadelphia, Wilmington, Baltimore, Washington. All Trains Are Electrically Operated. Safety... Speed... Comfort.